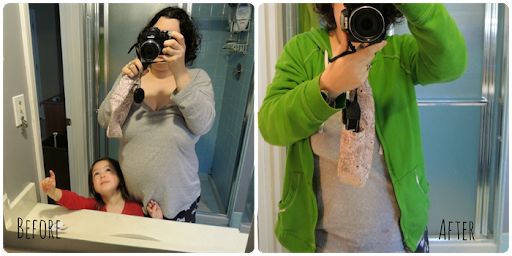 Being that tomorrow marks the three month mark since my abdominal surgery, I thought an update post was in order. In case you’re new around here or you just don’t remember, I had a ventral hernia repair with mesh, an umbillical hernia repair, and an abdominoplasty on April 15. I decided to have the surgery to feel comfortable with my body and to stop looking 4-5 months pregnant. Two weeks after my surgery, my incision had to be reopened and in place of a belly button, I was left with an open wound which needed to be cleaned and packed every day. In the beginning, I had a nurse who came to my house every day to clean and repack the wound. I am squeamish and wasn’t even able to look at my stomach, but my husband was able to take over for the nurse after two weeks and since then he has been taking care of the wound. It’s been three months, but I do still have a wound on my stomach. I was planning to have a repeat surgery on July 3, but luckily the wound has been healing well on its own. It is far from looking normal or good, but it is much much better than it was originally! When I last saw my doctor, I was given the go ahead to swim, with a waterproof bandage covering the wound, and to work out. Although my surgery changed the shape of my stomach and removed 3 pounds of skin, I still have awhile to go with losing weight and looking how I want to look. As well, my hips and some of my stomach is still swollen from the surgery. I’m hoping that will resolve with time. This is what I’m looking like now. I’ve started an exercise program where I do a cardio plan on Mondays and Wednesdays. On Tuesdays I do “Lower Body Sculpt” and on Thursdays I do “Upper Body Sculpt.” Of course, this assumes I go to the gym all 4 days! So far I haven’t, but I hope to continue building back my work outs until I can see some progress!